Kimono Studio HANABI | Kimono experience in Narita Japan | Kimono Studio HANABI is the nearest Kimono rental shop from Narita International Airport in Japan. Kimono Studio HANABI is the nearest Kimono rental shop from Narita International Airport in Japan. Our shop is the kimono rental shop nearest to Narita International Airport. The place of our shop is Narita city, Chiba prefecture of Japan. We have many high quality kimonos at reasonable prices in our shop. We have many plans including flat rate rental plan, two hours rental plan, photo shoot only plan, so you can choose according to your preference. You can also wear kimono and visit Naritasan Shinshoji Temple. Please enjoy a special day of memorable day in Japan. 4/19 Kimono experience in Narita Japan. 4/18 Kimono experience in Narita Japan. 4/15 Kimono experience in Narita Japan. 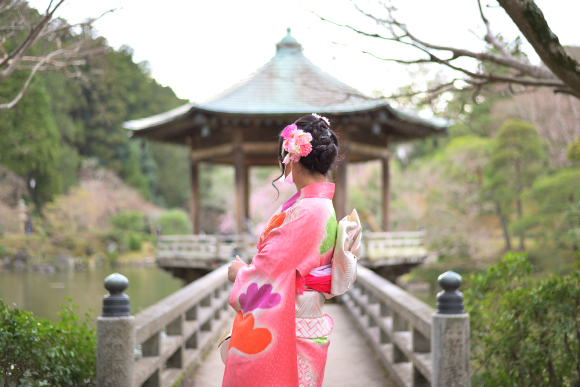 4/14 Kimono experience in Narita Japan. 4/13 Kimono experience in Narita Japan. Copyright c Kimono Studio HANABI, All rights reserved.